Upholstery Services Melbourne. Upholstery comes in two main categories upholstery and re-upholstery. Here we will discuss Rae-Line’s upholstery of new items see our re-upholstery page for information on that service. Rae-Line has developed a high level of skills in upholstery, ranging from vehicle Interiors, trucks upholstery, bus upholstery , trains, trams, caravan upholstery, office furniture, restaurant furniture upholstery, medical furniture upholstery, and gym equipment along with many and varied miscellaneous items over the years. 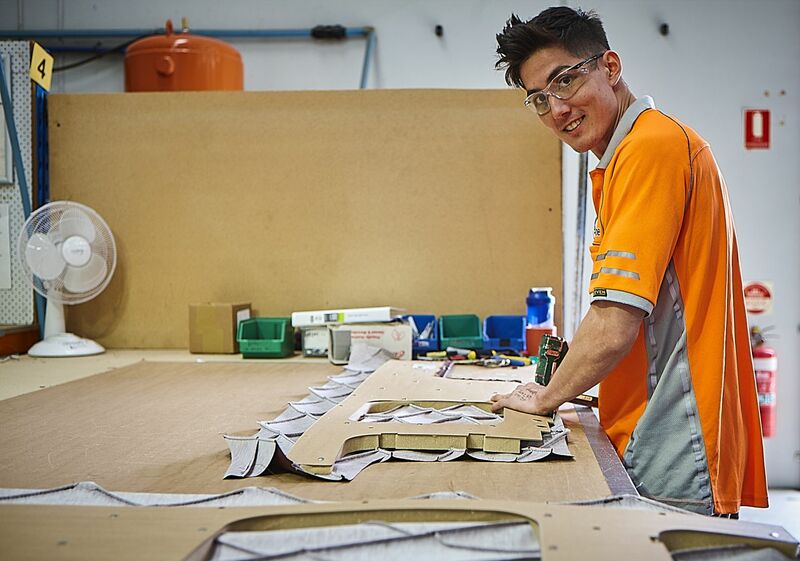 Rae-Line has built up an impressive system over many years allowing the team to design, manufacture and install upholstery projects to our customers needs. 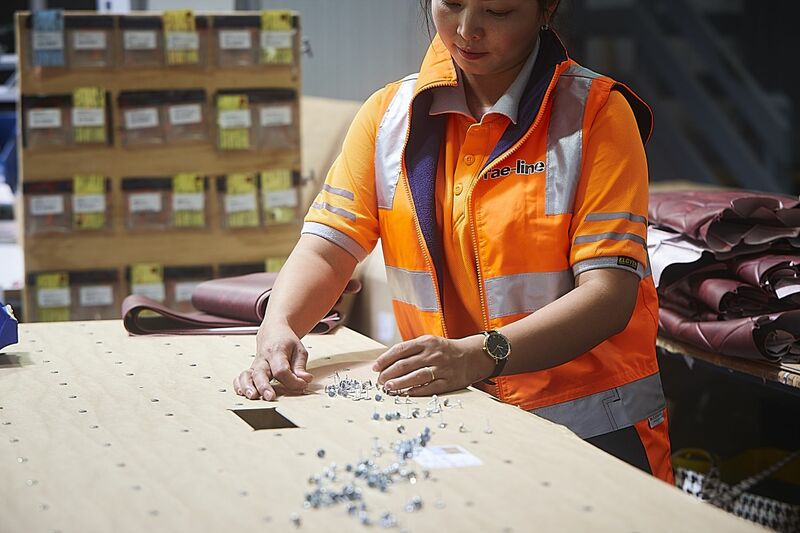 Rae-Line’s customers demand high levels of quality and on time delivery of their product and projects. The skilled team is driven by these requirements and delivers time after time. 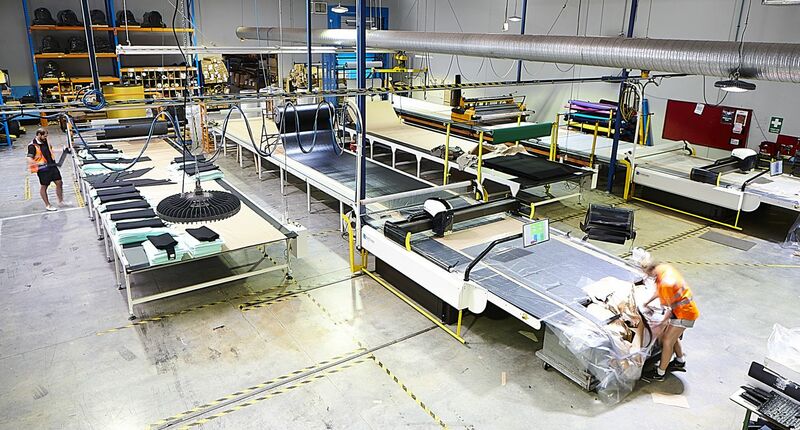 Your upholstery project risks diminished when you have the right partners in your project, Rae-Line invites current and potential customers to visit the team and witness our systems and process first-hand. 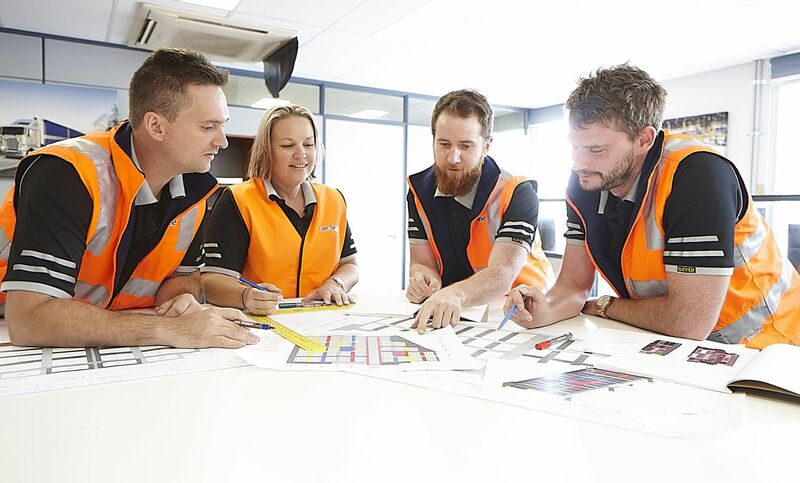 If you have a special or medium to large volume commercial upholstery need, give the Rae-Line team a call 03 9728 8300. 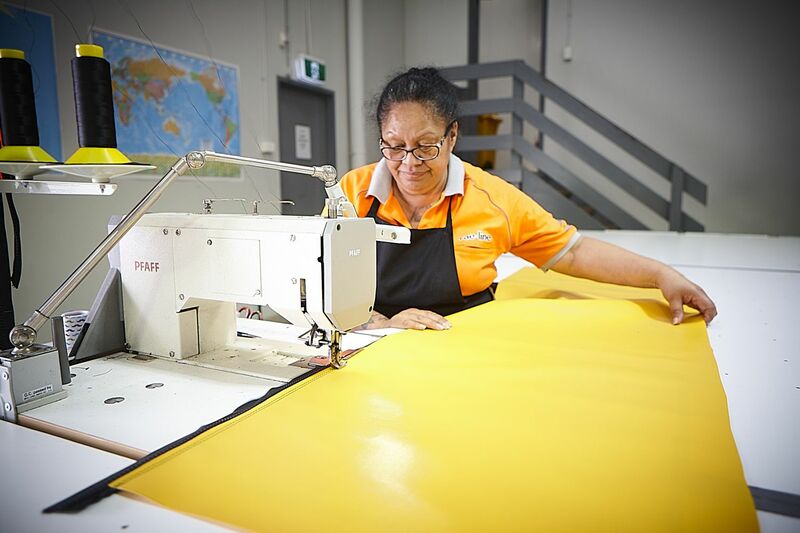 Rae-Line have manufacturing facilities for upholstery in Melbourne and Brisbane, however, we service Australia wide. To learn more about Rae-Line’s systems and processes please visit the ‘process’ page. It is the desire of the Rae-Line team to “Inspire the Wow” in all of its upholstery work. It take years to fully develop a feel and attachment to the materials, allowing the craftsman to apply the right tensions to the fabric and select the best foams and components to achieve that perfect look. The normal project process begins with a meeting with our sales team or a product development specialist to gather information and understand the upholstery project specifications. Where the customer has detailed upholstery drawings these would also be reviewed. Where no drawings or upholstery specifications are available a site / customer visit will be conducted to gather the information required to do an estimate or quote. A VPP (Visual Project Plan) will then be created so both parties are clear on what is required. Once approved the project is then set up in the Rae-Line system for tracking and production hand over. Upholstery services take many forms; medical upholstery, furniture upholstery, truck upholstery, restaurant booth upholstery, gym equipment upholstery, wall panelling, industrial upholstery and many more. Upholstery services Melbourne, Upholstery services Sydney, Upholstery services Brisbane. For all of your trim and upholstery needs give Rae-Line a call today.